area that explores the topic of death and dying in a digital environment, with reference to religion and/or the study of religion. Digital Death includes analyses of mortality, remembrances, grieving, posthumous existence, and afterlife experience via a variety of digital media (e.g. Facebook & social media, World of Warcraft & video games, YouTube & video services, internet memorials, etc.). 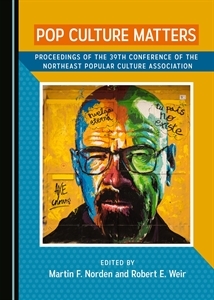 Proposals should include a 200-300 word abstract, a one-page C.V., and potential titles for the chapter, submitted to cmoreman@gmail.com by Oct. 1, 2013; complete 5000-7000-word drafts in Chicago format of accepted abstracts will be due by December 1, 2013. ← Greatest Bad Movies a Great Beach Read!